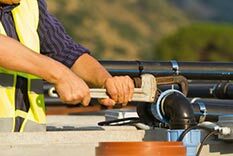 If there’s plumbing involved, we do it: new homes, remodeling and general service calls. We pride ourselves in sticking to our estimates and doing the job right, the first time around. We’re an experienced & friendly staff with a wide product selection and we’re here to create the best solution for your plumbing needs. Repair, installation and servicing for new and remodeled homes. Basic plumbing design, installation and repairs to keep your business running smoothly. 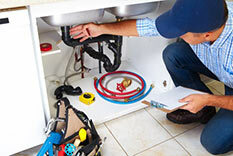 General Maintenance, Service Repairs, Sewage and Water Heaters. 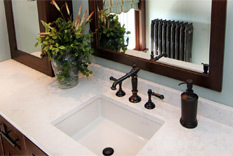 Enjoy a wide selection of fixtures, faucets, toilets, water heaters and more. Residential: Repair, installation and servicing for new and remodeled homes. Call us to discuss complete bathroom, kitchen, and laundry room installation and remodeling. Inspection of sewer drain lines. New or broken water and sewer line installation and repair. Other residential jobs we’ve tackled include: tankless water heaters, leaky faucets, clogged toilets and fixture replacement. Light Commercial: We assess your needs, timeline and budget in order to take on your basic plumbing design and installation work. Commercial services we offer include expert consultation, fixtures, replacements and general service calls for toilet, faucet and other plumbing maintenance needs. Meggers Plumbing & Enterprise in Kiel, WI offers professional and licensed service for home & light commercial plumbing repair, installation, and service. Meggers Enterprise Plumbing & Heating, LLC provides full service residential and light commercial plumbing services. 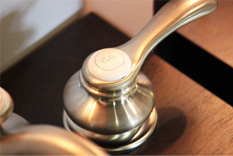 We pride ourselves in providing high quality plumbing services and getting the job done right, the first time around. Our customers have raved about our cleanliness, efficiency and prompt workmanship. No job is too big or too small for us! Contact us today today to discuss your plumbing needs.